Rainbow Chan has been getting a lot of love from Black Porridge, mainly because the strangeness surrounding her music seems utterly natural — unlike the contrived eccentricity coming out of some acts today. Also known as the “Oh-my-god-I-just-understood-that-joke-from-Big-Bang-Theory-I’m-such-a-geek Phenomenon” in other aspects of modern life. I’ve previously shared two-fifths of the Long Vacation EP (which comes out on July 30) in the form of one video and one track, and both had a kind of weird fun to them. Now the rest of the EP is available for streaming, and while there isn’t anything quite as catchy as the two previous tracks, they do show the depth behind Rainbow Chan’s abilities. There’s something genuine about the music that extends beyond the hodgepodge of influences and electronics that exists on the record — the pop-portraits are crammed full of hooks and squirrelly synths, but the downbeat tracks creep along with a soulful, artsy sobriety. It’s an exercise in bipolar switchbacks for sure, peppered with fractured pop shards that come off as varying shades of old Asian pop and “Björk-iness,” but it never strays from being interesting and engaging, which is a feat for a record as short, sweet and strange as this one. 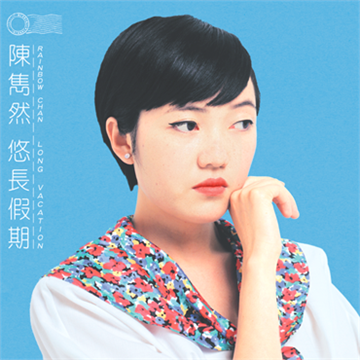 Stream the album here via Interview magazine, which also has a photo of Rainbow Chan that looks like a cross between one of my cousins and an art school student. This entry was posted in Albums and tagged Rainbow Chan, Silo Arts & Records by Brandon. Bookmark the permalink.